Thin, succulent dark green leaves.This unique garnish has a mild salty, juicy flavor. 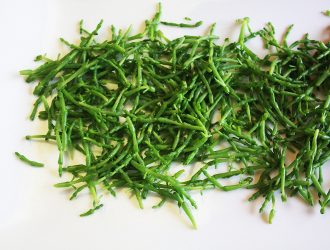 Other common names include Sea Bean, and Sea Asparagus. Wonderful accompaniment to seafood, poultry and meat entreés!